download@once :: the power of one-click! People used to say, "the sky is the limit". But now, we say, "the Internet is the limit". There are just too many good stuff for us to explore and download out there? The archive of the Internet is growing in an exploding way on a daily basis. Everyday there are so many new articles, files, games, graphics, movies, mp3s etc being added to the vault of digital sea. Wow, so many good stuff, so little time, so limited bandwidth? 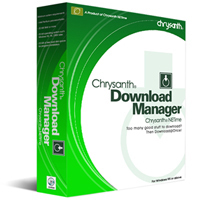 Consequently, Chrysanth Download Manager is being created as a facilitator for Internet users' download tasks. Obviously, it supports resumable and accelerated downloads. But what it also supports is Download@Once, a simplified way for users to harvest most downloadable content from a single page! 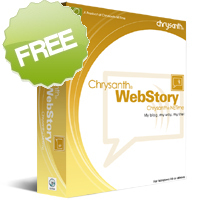 With a single click, you are done selecting all the desired downloads and the rest is the work of Chrysanth Download Manager. Get your FREE download manager now to see Chrysanth Download Manager in action!